CH-47F Chinook and AH-64E Apache. Photo courtesy Boeing. Army aircraft and combat vehicle procurement stand to receive billions in additional funding under a funding bill proposed by Senate appropriators on Nov. 21. The Senate Appropriations Committee added more than $1 billion to the Army’s fiscal 2018 request of $3.4 billion for combat vehicle procurement and modernization. A majority share of that increase would go to upgrading Abrams tanks to System Enhancement Package version 3 (SEPv3) configuration, Bradley Fighting Vehicles to the most-modern A4 configuration and equipping Stryker wheeled combat vehicles with blast-mitigating double-V hulls and associated automotive improvements. “The Committee continues to be concerned about the proliferation and lethality of anti-armor weapons developed by adversary nations and concurs with the Army’s assessment that Active Protection Systems may be the only viable near-term mitigation for these threats,” the draft bill says. While SAC-D acknowledges the Army’s need to replace the M113 armored personnel carrier with the Armored Multipurpose Vehicle (AMPV), it is concerned with the concurrency built into the continued development, testing, and procurement of the program. The bill would require a report from the Army within 180 days of passage on testing results to date and an explanation of why vehicles are being bought in bulk before initial operation test and evaluation (IOT&E), scheduled for late fiscal 2021. The fiscal year 2018 budget request includes just under $200 million for research, development, test and evaluation, to include procurement of live fire test assets for testing planned in 2020 and $447 million for procurement of 107 vehicles that will begin delivering in the fourth quarter of fiscal year 2019. “To ensure that vehicles are operationally effective before deploying to theater, the committee encourages the Army to accelerate testing,” the draft bill states. Another report would be required to explain the Army’s procedure for estimating how many missiles it needs, although the committee included a $327 million boost to the service’s $2.5 billion request for munitions to replace those expended in ongoing combat operations. SAC-D also recommends authorizing $1 billion more than the Army requested for aircraft procurement. Increases over the President’s fiscal 2018 budget request include nine more Boeing [BA] AH-64 Apache gunships at a total $309 million and eight UH-60 Lockheed Martin [LMT] Black Hawk utility helicopters for $108 million. SAC-D also boosted the Army’s purchase of UH-72 Airbus Lakota helicopters by 11, which cost an additional $90 million. 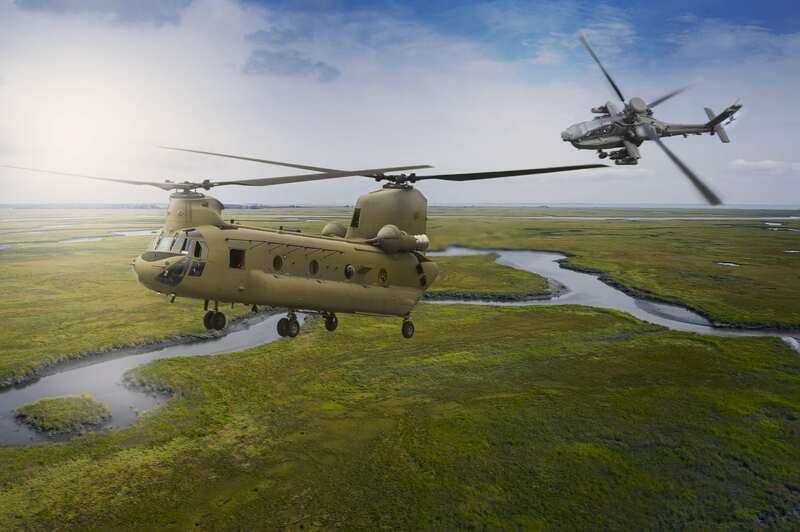 An additional $247 million will buy four more Special Operations MH-47G Chinook helicopters by Boeing.